Safe Harbor Development has poured more than $5 million into the newest winter wonderland adventure at Margaritaville at Lanier Islands. It opens on Monday, November 19, 2018. 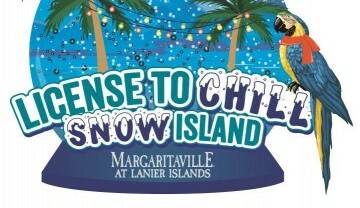 That means License to Chill Snow Island is hiring workers for the coolest jobs on Lake Lanier. Margaritaville at Lanier Islands has big plans to make winter cool again — instead of a time to hibernate and watch kids flip water bottles on YouTube. Not only will their much-anticipated winter attraction make you want to actually go outside in the snow, License to Chill Snow Island is hiring temporary workers to be PAID to have a fun job. License to Chill Snow Island is going to have the nation’s fastest hill for snow tubing hill! Too scary for you? (I’ll bet your grandmother would take the plunge. Just saying.) There are plenty of winter-themed rides and additional holiday festivities for all y’all. Our pals at Margaritaville at Lanier Islands don’t just make excitement fall like rain, they make the fun fall like snow! 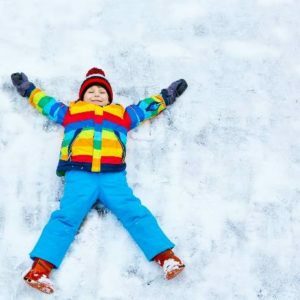 They’ve transformed Georgia’s best summertime playground into License to Chill Snow Island with (hello?) SIX state-of-the-art snow-making machines. Get ready to chill at Lanier Islands from November 19 through February 24, 2019.
a high level of service, attention to detail and fun. [We’re] accepting in-person and online applications and conducting interviews for more than 150 temporary positions in areas, such as: ice rink attendant, snow groomer, retail, cashier, food and beverage, and entertainment. Seriously. Where else can you get paid to be a snow groomer? Nowhere. Apply in person Monday through Friday from 9 a.m. to 5:30 p.m. at 7650 Lanier Islands Parkway, Buford, GA 30518.